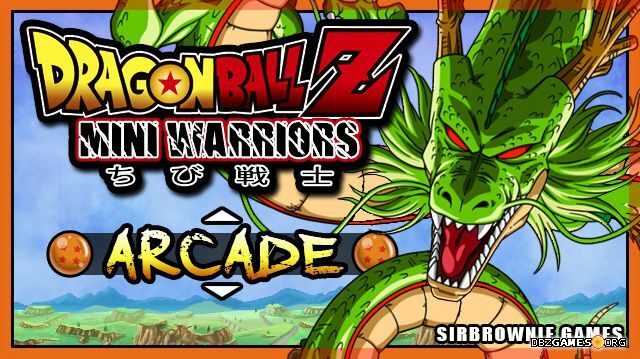 Dragon Ball Z Mini Warriors is a free fighting game created by Sirbrownie. It's a fan-made project which despite the small amount of content can provide a lot of fun thanks to a very enjoyable, simple, and dynamic combat system. Epic melee duels, lots of beams attacks (and beam struggles! 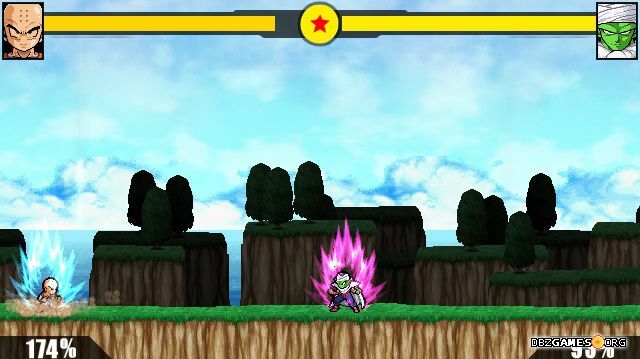 ), transformations, and much more are waiting for you in this worth checking mini game. 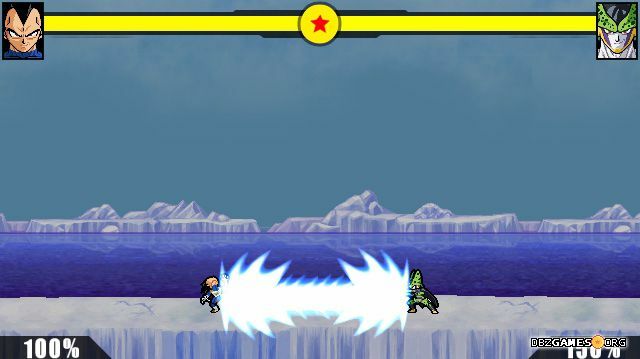 The game contains two basic modes: Arcade and Versus. In the first one you'll take part in a series of battles with characters controlled by computer AI. 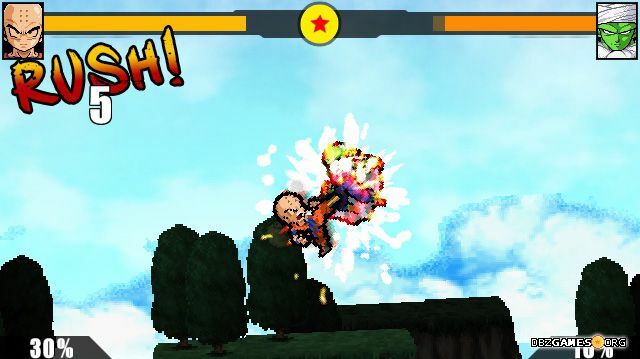 The second allows you to invite your friend and check out which of you is a better fighter. The gameplay is really fast and there's always a lot going on. 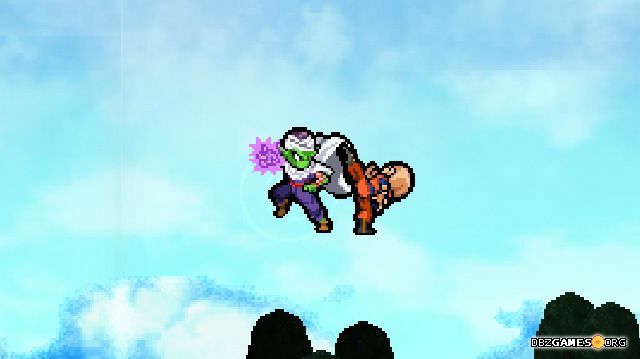 Characters can move quickly and surprise their opponent with spectacular combos that end with a special attack. You'll fight on the ground and in the air. The transition between is smooth and almost unnoticeable, thanks to which the fight doesn't lose its dynamics. 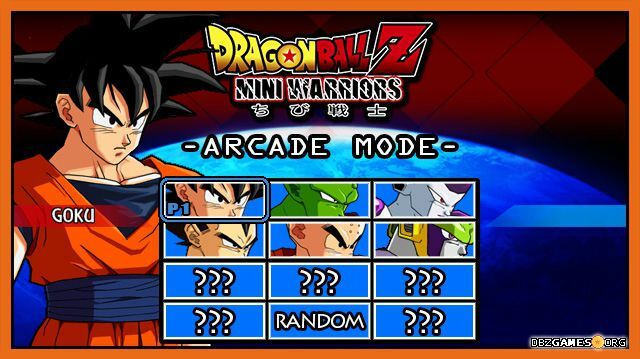 The game includes 6 starting playable characters (Goku, Piccolo, Frieza, Vegeta, Krillin, and Cell) and an additional few hidden characters (like Gohan and Broly) that you can unlock through beating Arcade mode. 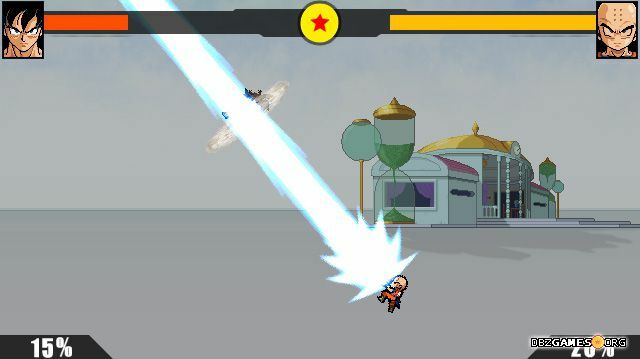 Each character uses its iconic beam attacks, so you'll see Kamehameha or Galick Gun quite often on your screen. 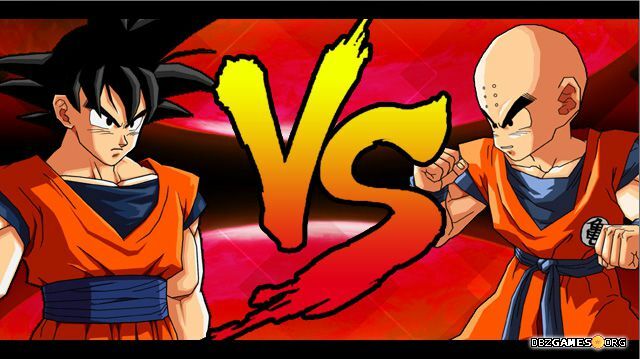 You'll fight in many well-known places such as Tenkaichi Budokai arena, Namek or Hyperbolic Time Chamber. The stages are quite large and really solidly made. In the background you can see a further plan on which something is always happening and the dynamic rotating camera makes the fight really look great. The author also took care of a good sound setting. You'll hear many creative remixes known from anime, especially from the US version. In the options menu, you can turn on Turbo Mode which makes the game even faster. If you're looking for a really Dragon Ball Z experience, you should try! The author also works on a new part of the Mini Warriors, this time including characters from Dragon Ball Super. At the moment there is no information about the release date. Run DBZ.exe in the main game folder. Check out README file for the controls and tips. Esc will turn off the game, so be careful as you can lose your progress.